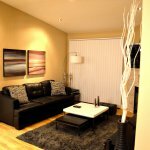 Finding suitable furnished short term housing Henderson NV can be a challenge unless you are willing to settle for an extended stay hotel room. 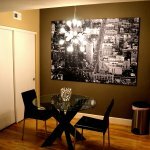 We make is easy with amazing fully furnished turn-key properties like “New York” listing # 127, 1 bedroom 1 bathroom condo located in Seven Hills, Henderson! 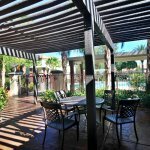 This upgraded and modern style unit is located in the picturesque rolling mountains of one of the best locations in Henderson Nevada. The Seven Hills master planned community offers a wonderful outdoor environment that includes walking trails, parks, tennis courts, basketball courts, volleyball courts and the Rio Secco Golf course! Enjoy your evening walks with spectacular views of the entire Las Vegas Valley from this elevated landscape. The Horizons at Seven Hills gated community just off Seven Hills Dr. and Horizon Ridge. 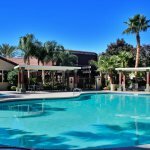 This community offers our guests a pool, jacuzzi, fitness room, BBQ area, Club house and pool table. 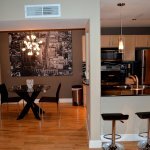 This amazing top (2nd) floor luxury condo has been completely renovated in an ultra-modern luxury style throughout. 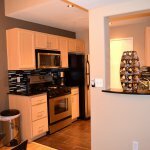 Appreciate interior amenities such hardwood floors, granite countertops, stainless appliances and more. 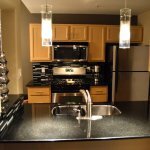 Renting any of our amazing short term housing Henderson NV units means that included with your furnishings are housewares, kitchenwares, linens, and towels! 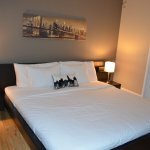 The master bedroom has a king size bed, walk-in closet and direct access to the bathroom. Why have to waste time and money on coin operated laundry? 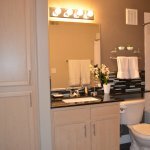 Your private laundry room is located just off of the kitchen, with a full size washer and dryer. 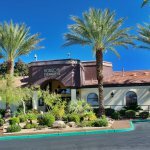 As with all of of short term housing Henderson NV, all bills are included! No need to worry about setting up utilities, gas, and internet all set up, just step into your gorgeous home away from home and start living! 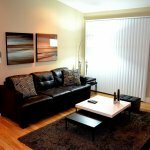 See all of our available rentals here. Horizons at Seven Hills - Gated, Pool, Jacuzzi, Fitness Center, and Club House with Pool Table. 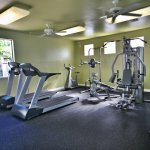 Hardwood Floors, Granite, Close Proximity to Pool and Fitness Center and Clubhouse.